Here are some marketing tactics to use at your events to not only make sure they run smoothly from beginning to end, but will make the experience more memorable for your attendees. Remember, you never know who in your audience is looking to find a venue for their next big event - make sure yours shines! There is no better place to market yourself as the home of customer service than during a scheduled pre-con meeting before the big event. In this meeting, hotel managers from departments like events, F&B, housekeeping, and front desk meet with the client and their team to go over introductions, banquet event orders, and other essentials like check-in and billing. This meeting will be instrumental in getting everything off on the right foot, as well as showing that your brand cares about the details. Create a pre-con sheet that both gives contact information for both parties, as well as information department heads should keep in mind. The sheet can include mobile (or on-site) numbers for the client and managers, timing of breaks in the schedule for housekeeping to keep in mind, billing info for accounting, as well as other important notices. Another important element of this will be photos of the hotel staff, as well as asking for these of the client’s team. Creating a photo page will help the client easily identify staff and staff easily identify conference decision makers. Many event planners overlook the power of a simple introduction for conference attendees to put a face with the hotel. This simple step can make the hotel seem more approachable and take some pressure off of the client to be the only source of info for the vast number of attendees. There are two ways to go about an introduction. If the conference is comprised of mostly local attendees that are not staying at the hotel overnight, start with an in-person introduction. Ask your client for two minutes at the start of the conference to address the crowd. Even if you are not a public speaker, simply saying hello and introducing yourself and the hotel will let conference attendees know that you and guest services are there for them. If the conference’s attendees are mostly from out of town and will be flying in or arriving for check-in, a welcome letter with their room keys is another simple gesture that can help guests make the most of their conference. A welcome letter is best short and sweet - include only the most important information. This info might be the wifi password, what time breakfast is served, parking info, the number to guest services, and other events happening around town. Getting your guests interested in your city as a whole is another way to bring in return clients from this conference. More and more, attendees are looking for an experience rather than just a training inside a stuffy ballroom. Encourage your guests to experience the joys of your city by providing them with information on local businesses or festivals. There are many ways you can get your attendees more engaged in city activities, while still involved in their training. Arrange for a local tour to offer a pick up at your location, or even look for local artisans that would be interested in working with the hotel gift store. You can also add local flair to the event or conference with themed breaks, traditional menus, decorations, or discounted opportunities for cultural experiences. When you showcase what your city has to offer, you become part of an experience and not just part of a chain. To add to the idea of creating an experience, what is your hotel doing for attendees to make it rewarding to stay with you? To make sure you are also capturing maximized room nights as well as conference space, create a plan to get attendees excited about. There are several ways to be creative when it comes to rewards. Put a fun amenity in rooms like a conference specific goodie bag. 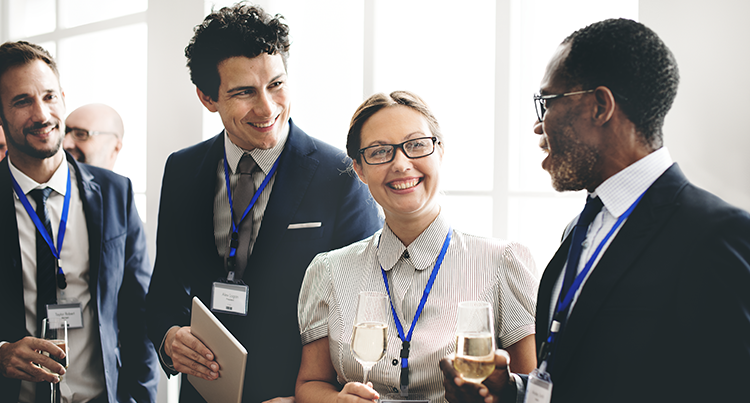 Host a networking event during happy hour at the hotel bar. Offer a discounted dinner voucher for the hotel restaurant that is good for the last day of the conference. You could even give away a free cocktail to each attendee on the first night! If your hotel already has a rewards program in place, make sure asking for sign-ups is in overdrive during the conference. Let the guest know the benefit of signing up with your brand. Any of these tactics will help you capture more of the conference dollars, more often. 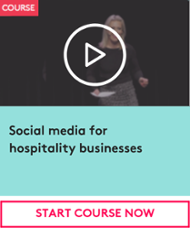 Social media is essential for marketing to conference goers. Ask your client how your brand can be incorporated into their existing online plan. Many times, the easiest step to take is to be listed as a co-host of an event online. Browse your client’s event website to find out if there is an opportunity to be listed as the host hotel. Offer to create a digital flyer that can be used on social media to highlight the benefits of staying at your hotel for the conference. Get in on any hashtags that the event is already using to bring your brand into the conversation. Lastly, live stream from the hotel’s social media accounts. Can you show your initial welcome online, or live stream from the vendor hall? Once you have approval from your client, a video is the quickest way to show off your team’s work to all of your followers. It is essential that all departments of a hotel work together to make the property really shine during a large event. Customer service must show in all areas from check-in to the final conference dinner. After putting in all of this hard work, don’t forget to ask for reviews and testimonials. Online reviews drive booking in both rooms and event space. Have cards ready with QR codes or easy links so that when a guest remarks on a positive or negative experience, managers in every department can hand out a quick way for that customer to leave a review. All of these marketing tactics are relatively low cost and can be put together before an event to ensure your brand stands out in an ocean of choice. Putting in a little elbow grease before your next conference arrives can make all the difference in helping your brand shine to potential future clients! 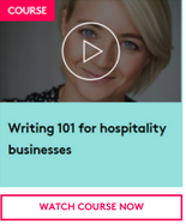 With more than 450+ online lessons available in Typsy's video library you can start learning more about marketing in minutes. Sign up today and get the first 10 day's FREE! 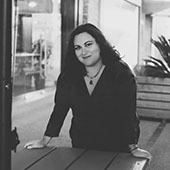 Olivia Shainin has an undergrad degree in Marketing as well as a master’s degree in International Hospitality, Event, and Tourism Management from Oxford Brookes University. She honed her craft working for a five-star hotel as the Director of Catering and Events. Currently specializes and advises in areas of social media, marketing management, and event management.